The Philadelphia skyline from Interstate 676 in Camden, NJ. Philadelphia's skyline has changed pretty dramatically since the turn of the century, adding its two tallest buildings in just the last 15 years. While the spire atop Liberty One once served as the city's most identifiable beacon, apparently the addition of Comcast's two towers has confused the American public. A new nationwide skyline survey from BigRentz found that nearly three quarters of the country can't spot Philadelphia based on its architecture. "Philadelphia’s skyline has been undergoing an impressive transformation, with over 2.1 million square feet of new construction set to change its skyline in the coming years," BigRentz said in its survey. 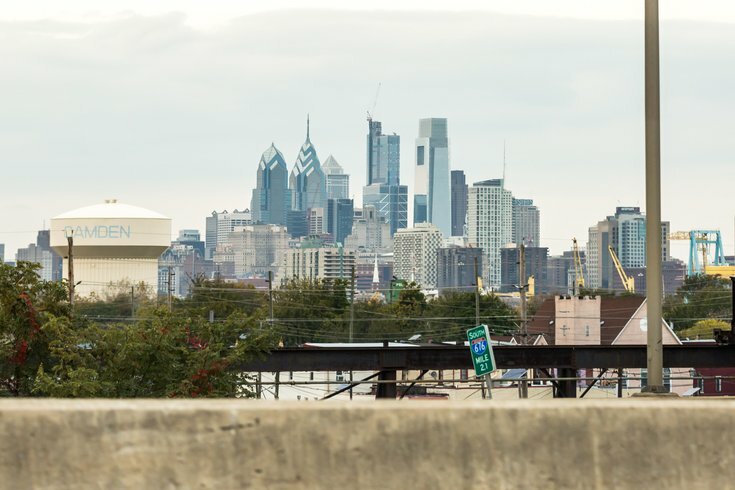 "This construction boom may be making an impact — a combined 67 percent of respondents thought our image of the Philadelphia skyline belonged to either New York City or Chicago, two cities famous for their dramatic architecture and iconic skylines." Sadly, 35 percent of New Yorkers just assumed Philadelphia's skyline was New York. Just 26 percent of those surveyed correctly identified Philly. While region didn't have much influence over the knowledge of those surveyed, BigRentz did find that millennials and men were slightly better at picking the right cities than older generations and women. It's doubtful that Philadelphia, even within its own dimensions, will ever have as towering of a cityscape as New York. But the next frontier for new skyscrapers will likely be University City, where the 30th Street Station District Plan figures to to transform the sky west of the Schuylkill River into a view resembling Center City. The takeaway from BigRentz is that cities should put in more effort to embrace architectural innovation that will make them stand out. "As these cities continue to expand their economic power and increase their construction activity, they may want to think of ways they can make their skylines stand out, while increasing business, and creating more cultural impact," the survey concluded.